To be honest, there are quite a few ‘recipe’ based apps out there. Heck we even reviewed a tablet that was specifically designed to be used for cooking (help you cook, not to cook on, just in case you were tempted!). The Sesame App is the best I have tried so far, and this is no exaggeration! 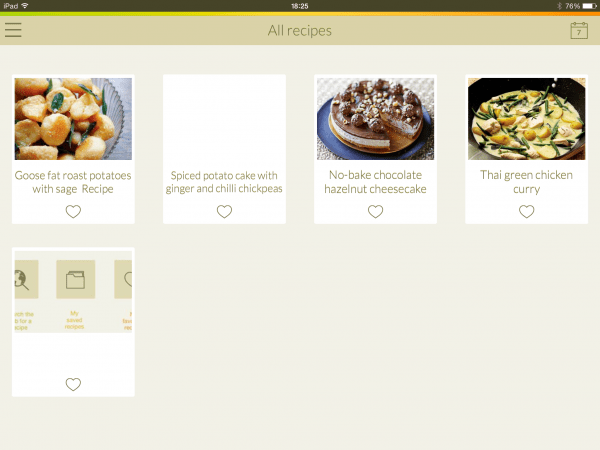 The app gives you the best way to maintain and collect recipes, and adds some extra features such as ability to cross out ingredients, scale up or down ingredients, or just search for recipes based on tags, ingredients or cuisines. After all, don’t all recipe apps offer the above? They do, but what makes Sesame so special is the fact that it actually works with a lot of websites. What advantage does this have? Simple. 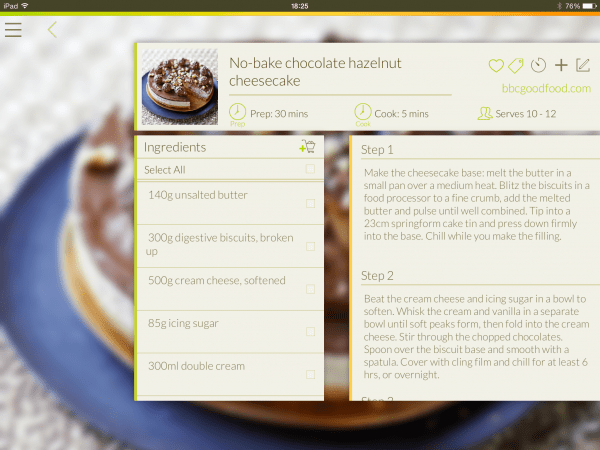 Once you open the app, you can add your own recipes, or you can browse from them, with a built in browser. And no, before you jump to conclusions, you will not be collecting recipes through bookmarks. Browse and head to one of your favourite recipe websites, and open up a recipe. Once you get there, all you need to do is hit ‘Save Recipe’ in the corner. That is it. The app does its magic, and adds a picture, ingredients, preparation time, instructions, and other such details to the app. You can also add tags, cuisines, and other such options to the recipe. Does this ‘magic’ work with all websites? To be honest, I tried a fair few, and it did. A fair few mind, not universally. After all, it can only know so much. Also, I got a bit suspicious and started browsing a few Pakistani recipe websites. The system failed, yes it did. Oh no, so does it not work then? Oh, no… none of that. It still does. The website has the ability to let you ‘manually save’ a recipe. You go on the particular website of interest, and then click on the picture, hit ‘Copy’, and then hit ‘Picture’. Similarly select text, and hit Copy. After that, select items such as Name, Servings, etc and when all is done, hit Save. After that, you can add your tags again, and all is good, just like when the website is supported. And how does the recipe read? Really well. The app arranges everything in a professional UI, and the best part is since it can ‘import’ recipes from a lot of websites, the UI becomes same for all, meaning you won’t miss out vital information just because you’re not used to it being hidden in a particular corner of a web page. In fact, you may even think it makes it look too simple! Can I edit a recipe? Why of course you can. Hit the Pencil icon on top of a recipe, and have your merry way with it! Okay, I’ll be honest, I did have to read instructions when I first fired up the app, because I didn’t find it to be very intuitive. However, once you know what you’re doing, you are pretty good to go. The recipe bit works extremely well, and can’t be faulted. The fact that you can import recipes from most websites makes it really useful. The only thing I would change is the fact that when you fire the app the first time, it runs you through the different features and options available. Other things could be to give a list of websites that work well with Sesame. £2.99, available from the App Store. What if I buy a new device? You are covered. The app is associated with your iCloud (or Apple) email address, and once you install it on another device you own, it will pick up your recipes from its own cloud. A definite gem. Lots of options and handy features. A must have for anybody who is keen in the kitchen! Previous story Motorola announce the Moto E – a budget phone to destroy all competition!